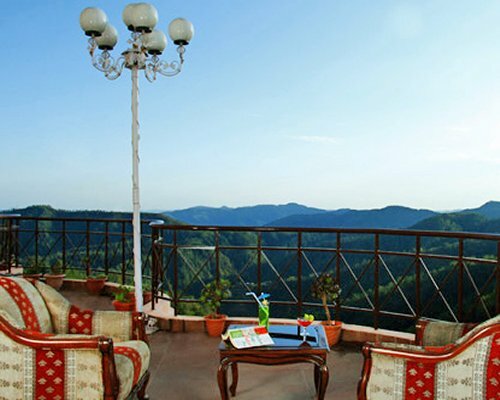 The spacious guest rooms of this mountain resort all feature views of either the magnificent Himalaya Mountains or the lovely pine valley below. All rooms feature partial kitchens; some rooms also include microwave ovens. Rooms can sleep from two to six people. 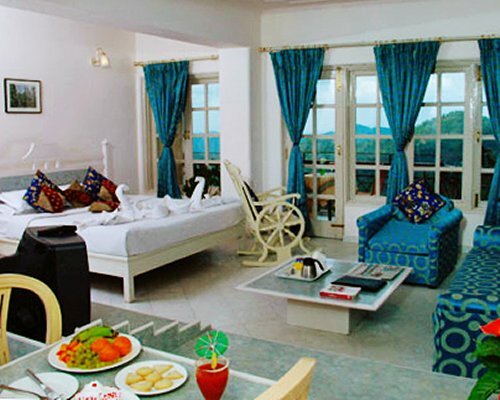 The resort also offers studio as well as duplex units. Some units have a balcony overlooking the breathtaking scenery. Nearest Airport:Chandigarh - 130kmsThe nearest railway station that connects Shimla to neighboring states is at Kalka. 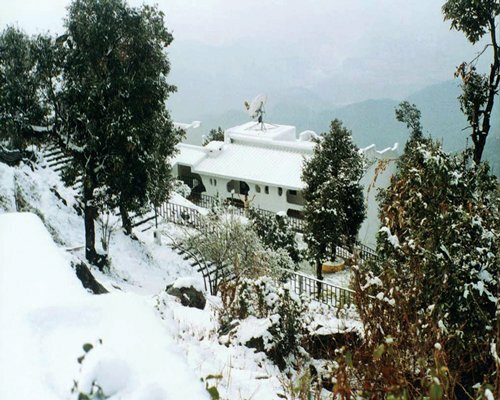 This place is located at a distance of 96 kilometers from Shimla. 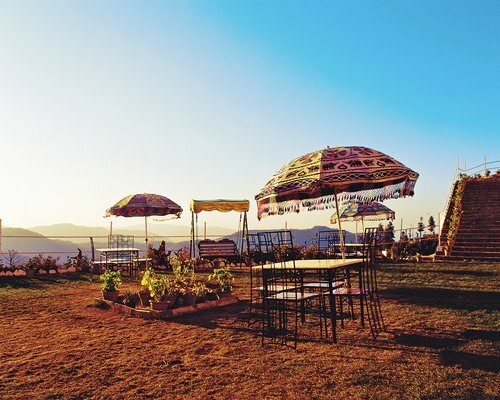 From Kalka, it takes around 6 hours to reach Shimla.The journey from Delhi to Kalka is an overnight journey and reaches Kalka early morning.By Road: Shimla is well connected to neighboring places like New Delhi and Chandigarh through national highways. 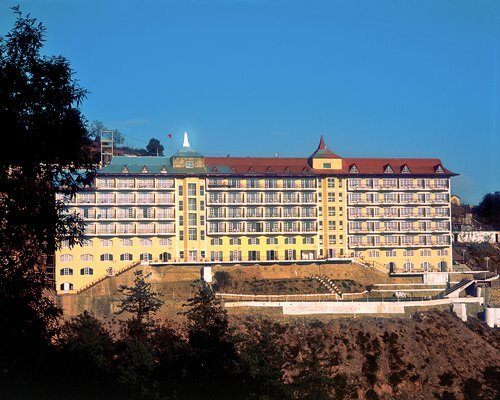 The journey from Delhi to Shimla by road takes approximately 8 hours.Taxis are available from the airport. Chauffeur driven cars can be arranged by the resort on request. Foreigners are advised not to drive in India. All cars hire comes with a chauffeur included in the price. Mandatory Meal plan 2017: 1. 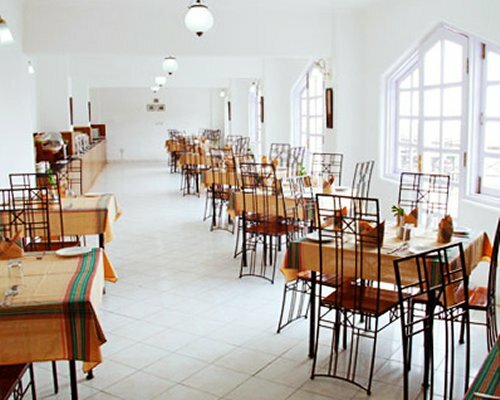 AP (All Major Meals: Breakfast, Lunch and Dinner) Rs.1000/- per person &amp; for child Rs.700/- (child age 06 to 12 years). 2. MAP (Breakfast, Lunch or Dinner) Rs.750/- per person &amp; for child Rs.500/- (child age 06 to 12 years).GST as applicable will need to be paid at the resort. Subject to change according to Government Regulations. Rates are per person, per day. 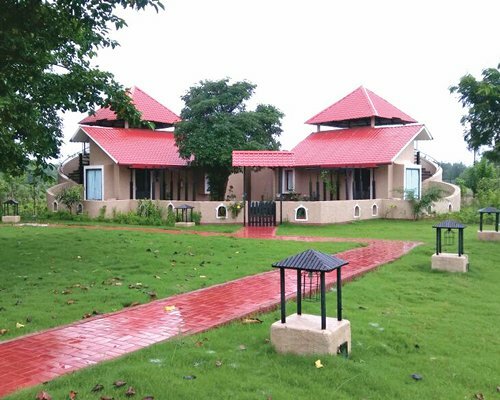 Resort is not suitable for guests with walking difficulties. Mandatory Meal plan 2018: 1. 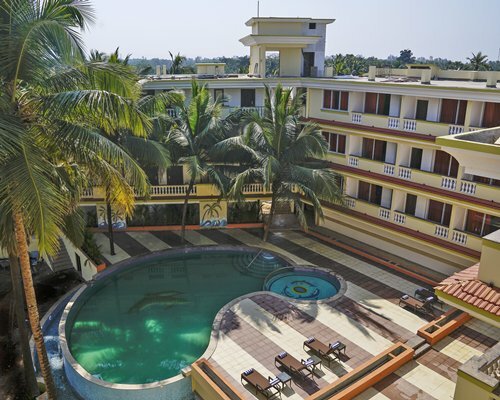 AP (All Major Meals: Breakfast, Lunch and Dinner) Rs.1200/- per person &amp; for child Rs.840/- (child age 06 to 12 years). 2. MAP (Breakfast, Lunch or Dinner) Rs.900/- per person &amp; for child Rs.600/- (child age 06 to 12 years). 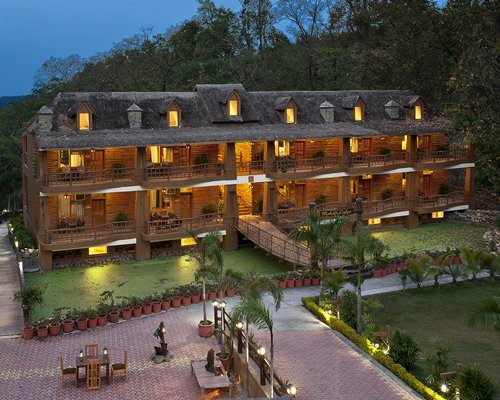 GST as applicable will need to be paid at the resort. Subject to change according to Government Regulations. Rates are per person, per day.